My wife and I have worked with Sharon for a little over a year trying to find the perfect site for our next home. During that time we got to know her as a first class professional. She asked us great questions to get to know what we wanted as a buyer, demonstrated an extensive knowledge of the market, and showed remarkable patience in working with us considering how long it took us to find just what we wanted. Throughout the process she was easily approachable and readily available. Unfortunately, once we finally found our dream home site we had just about every obstacle imaginable to overcome; overseas seller, lawyers involved, tight timing deadlines, you name it. Sharon was quite simply amazing through out the process. She approached every problem with a positive attitude and worked methodically to a solution. Sharon's calm, cool professionalism enabled us to navigate a very complex process without stress and enabled us to successfully purchase the real estate of our dreams! I have purchased quite a few homes over the years and can honestly say she is the single most capable real estate professional I have ever worked with. She has my utmost respect and I would highly recommend her. Today, Guy Rivera at Guarantee Mortgage said in his daily blog "Inflation around the globe is low and economic growth is soft - this will keep our interest rates relatively low for the foreseeable future. The Fed has said they are watching the slowdown around the globe when considering monetary policy. The two-day Fed meeting will take place next week and with growth around the globe weak and disinflation creeping in - there is virtually zero percent chance of a hike and likely none for quite some time". That should make those rate hawks out there happy and make those of you still shopping feel a little more secure in waiting until they find just the right thing. 3353 Long Valley Road, Santa Ynez (18.93 acres) 550K Sharon: Seller willing to consider a trade. Nina: A parcel that has always been appealing to me for its' location and building potential, coupled with a seller who is interested in a trade, makes this property very interesting. Priced at under $30,000 an acre in Woodstock Ranch, it's a good candidate to buy and hold or to build your dream home. Listed by Maryann Foss of Sothebys. 612 Hillside Drive, Solvang (4/3 on .24 of an acre) 825K Came on the MLS today as already pending. Listed by Jan Finley and Wendy Carpenter of Sothebys. 1260 Olesen Drive, Solvang (3/2 plus casita on .24 of an acre) 895K Sharon: I was the listing agent on this home when it sold last June. At the time, it was only on the market 27 days because it is a super awesome property. It was mint condition at the time and I assume it still is. The color palette is all currently trending so will please any of you magazine/Magnolia/HGTV groupies out there. A year ago, all the flooring was brand new. Upper level lighting choices and other amenities everywhere and a dynamite pergola and yard. The casita is wonderful for older kids, family, guests or a fab home office or gym. The builder built very few of these casita models so if you have been waiting for one, nab this one for sure. Great location too and don't overlook the climate controlled wine room in the garage ... it can hold a serious amount of wine or use it to store food etc. or even as a safe room. A real winner in its class. Nina: All of the components of a move-in ready home are present here. The property has been tastefully done and the landscaping is fairly low maintenance. The guest casistas is an added bonus. Well priced for what it has to offer. Listed by John Frederick of SYV RE. 2753 Gypsy Canyon Road, Lompoc (3/2 on 127+ acres) Was $5,450,000 with a new price of $4,750,000. Listed by Randy Freed and Joe Ramos of Berkshire Hathaway. 1314 Edison Street, Santa Ynez (3/2 on .23 of an acre) Listed at 679K and sold final for same, 679K. A lot of newer mint condition open concept home and pool for the money. Only on the market 3 days. Listed by Terrence Ryken of Compass. 2851 Grand Avenue, Los Olivos (3/4 on .16 of an acre) $4,200 per month Sharon: Super cool rental within walking distance to all the eateries. Many of you have asked for this! Now go call them! George Logan or Toni Mochi at 22 West Realtors 805-896-3823 or 805-636-9170. 381 Arden Avenue, Buellton (4/2 on .21 of an acre) 749K Sharon: I really like these Oak Creek homes. This plan has just under 2400 square feet. High ceilings, oversized doors and windows and all the new style construction perks you should expect from a home built in 2002. Light and bright from lots of windows and corner location. Corner of 2nd and Arden for an easy stroll to school for the kiddos. Listed by Candice Signa of Los Olivos RE. 272 Parkview Road, Buellton (3/3 on .16 of an acre) $647,500 Sharon: Yay finally! No reason this one was on the market 63 days. Great property at a great price. Smart buyer! Listed by Deanna Harwood of Berkshire Hathaway. 579 Via Corona, Buellton (3/2 on .19 of an acre) $699,900 Sharon: This is a listing in our own inventory so visit the property website at www.579ViaCorona.com. Buellton is going strong!! Buyers who like to make the most of their housing dollar like what Btown has to offer in new style housing and/or value pricing not to mention sidewalks, street lights, good schools, awesome parks, easy access to the 101 and convenience to major grocery, restaurants and even gas stations! Listed by yours truly Currie and Stormo of Berkshire Hathaway! 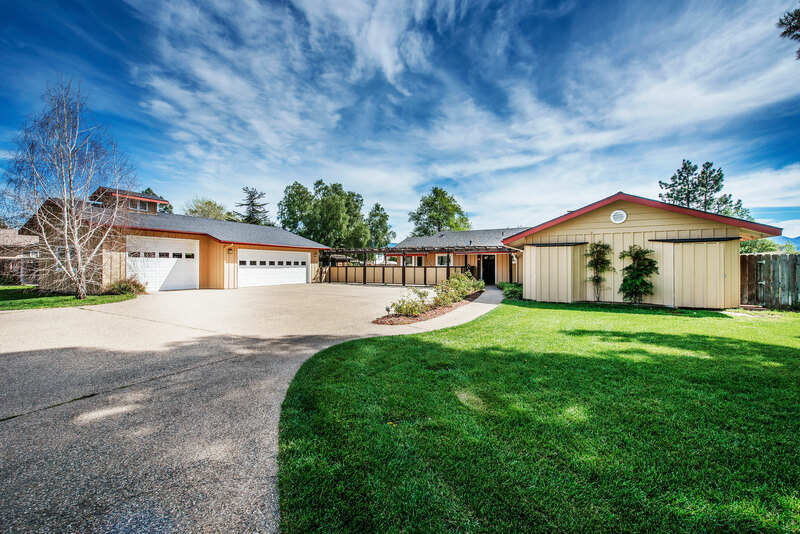 783 Fredensborg Canyon Road, Solvang (3/3 on 1+ acres) $1,295,000 Listed by Laura Drammer of Berkshire Hathaway. 319 5th Street H, Solvang (2/2 condo) 389K Sharon:These cozy condos live bigger than their 845 square feet. The living room is spacious and has a fireplace. Kitchen has a lot of storage. Bedrooms are good size too for the space. This is an end unit for added light and views. Even has a one car garage. Don't let the 2nd story location keep you away from looking at this one. This building is served by an elevator in addition to stairs. Super cute condos and priced where we typically don't have much inventory. 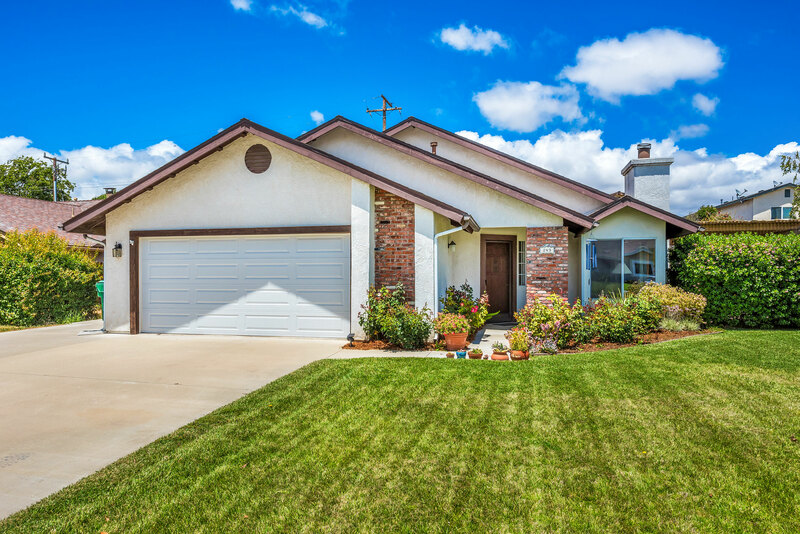 This is a very well maintained and quiet community within walking distance to the center of all things Solvang and easy jet over to the 101 without having to go through downtown. HOA is $400 per month. Listed by Randy Stone of Ranch and Country. 315 5th Street E, Solvang (1/2 condo) 406K Sharon: Same condo complex as above. Very tidy and nice updates in the kitchen. 871 sq feet in this one. With the one bedroom in this much square footage, everything should be pretty spacious. Has a fireplace in the living room too! Upstairs end unit, nice balcony. Nina: Cute upstairs end unit one bedroom condo with some updates already completed and nice views of the neighborhood from the patio. Walking distance to town. Listed by Pam Sherman of Right Choice. 1493 Aarhus Drive 17, Solvang (3/3 condo) 475K Sharon: This one was a no brainer. A lot of value and great end unit location in a small quiet condo complex just a few blocks from the center of town. Only 10 days on market. Nina: It doesn't surprise me that this property went into escrow after just over a week on the market. The yard is surprisingly spacious for a condo and the interior is move-in ready with tasteful updates. 1391 Faraday Street, Santa Ynez (3/2 on .30 of an acre) 725K Wow. Only 4 days on market. 670 Shaw Street, Los Alamos (4/3 on .38 of an acre) 739K Listed by the Ealand & Sideris, Berkshire Hathaway. 1765 Lewis Street, Ballard (2/2 + old farmhouse from 1911) 819K Nina:This property offers a very unique opportunity to live onsite while completing your farmhouse restoration. I see so much fun potential with the 1911 building! I will be very interested to see how this one unfolds. Listed by Jeanne Hollingsworth of Douglas Elliman. 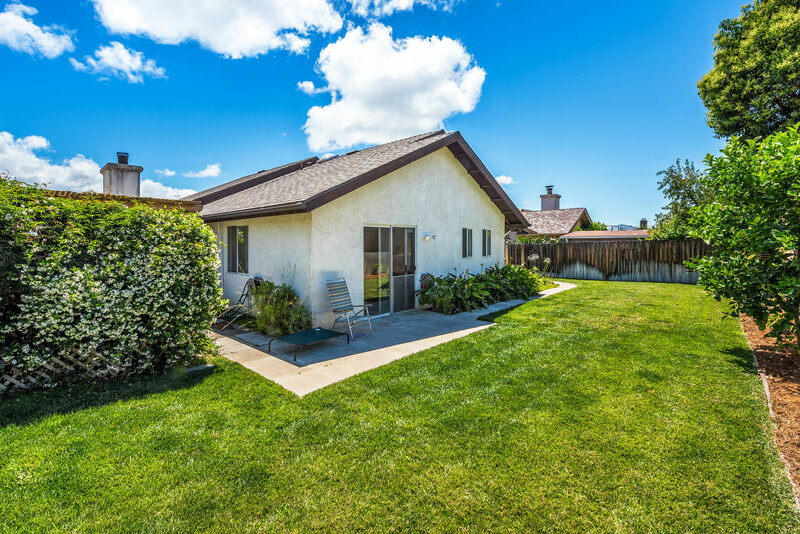 1062 Highland Road, Santa Ynez (5/4 on 1.23 acres) $1,450,000 Nina: With nearly 5000 square feet and different living areas, this home offers quite a bit of flexibility for guests or extended family. The lot is also well laid out for multiple uses - entertaining, horses, etc. Listed by Patti Cotter of Village. 3336 Pine Street, Santa Ynez (.27 of an acre, land only) Listed at 225K and sold final for 195K. 92 days on market. Listed by Randy Stone of Ranch and Country. 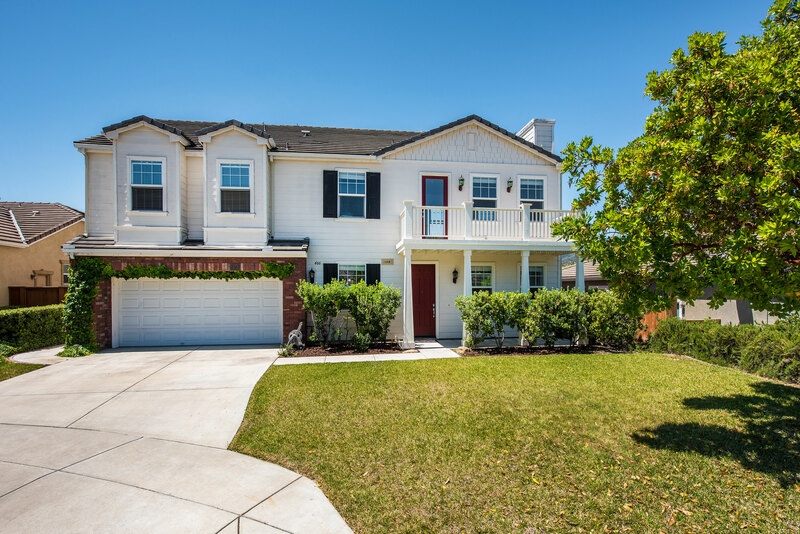 1566 Aalborg Court, Solvang (3/2 on .62 of an acre) 32 days on market. Listed at 995K and sold final for 990K. Listed by Kris Johnston of Engel and Volkers. Welcome to one of the most beautiful places on earth. Rolling hills, vineyards, ranches, bucolic towns, pastoral scenes, big sky views, mountains, rivers and valleys are all here and easily accessible. Small town living melded with big city services makes the Santa Ynez Valley a special place unto itself. With easy proximity to southern California, the valley is home to full time, part time and sometime residents and visitors. Come for the beauty. Stay for the irreplaceable charm and sense of well being found only here.